Chrome Extension Development – Background page and content script communication. As of today, Google has some awesome developer docs for getting started with Chrome extension development. When it comes to more advanced maneuvers however, Stack Overflow is a better option. I hope Google fixes their Chrome docs, but in the meantime if you’re looking for a way to call your background page functions from a content script, here’s a quick guide for getting it to work. I was developing a chrome extension for Oracle’s PPM Task Management Cloud offering with a Browser Action ( popup.html ) that would communicate with a background page ( background.html ) and multiple content scripts that were run on URLs that matched Oracle’s internal Bug DB web application’s pattern ( https://bug.oraclecorp.com/*&rptno=* ). The content script (bugdb.js) was supposed to check if a user is logged in by calling a background page function ( bgApplicationController.isBgUserLoggedIn() ) , and then attach a function from the background page ( bgApplicationController.createTodoTask() ) to a DOM element on the current page accessed by the content script. Simple enough, right? Well the caveat here is that we need to use Chrome’s messaging APIs to be able to communicate between content scripts and the background page. Hope that helps! Also do note that the APIs used in this blog post are current as of Feb 2016, however the coding practices are not. Google discourages the use of persistent background pages – something I haven’t taken care of. After installing Sublime Text 3, you may want to open a file / folder directly from the command line by using the subl alias. To do this, simply add a symbolic link to the subl after making sure that you PATH has ~/bin. This should open a nice uninstaller. The official instructions ask you to launch sh deinstall.sh directly, but that did not work for me. Rather than look at the code, I’ll be lazy and attribute that to either an Oracle bug or incompatibility with Mavericks. Anywho, let’s move on. The uninstaller should work with all default options. At the end, you’ll get something like this. But wait! We’re not done yet. 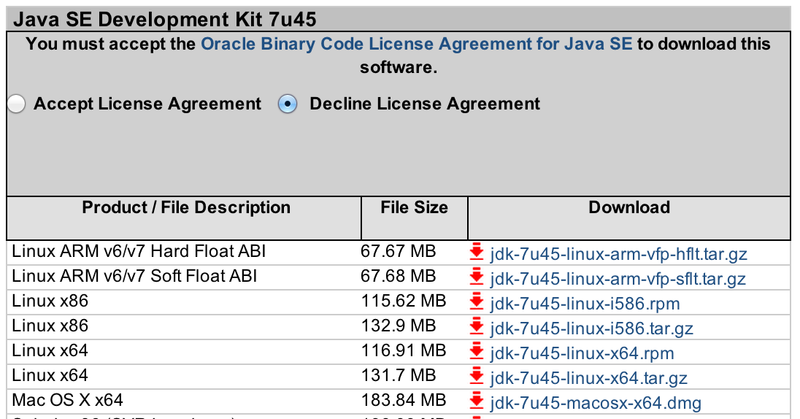 This uninstaller did not remove the Oracle Home directory for me, so let’s delete it manually. And that’s it! 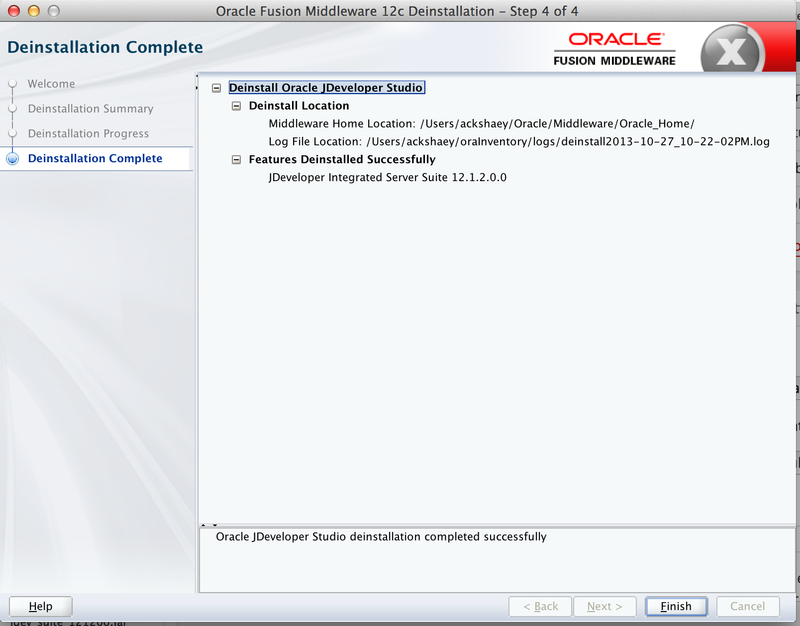 You’ve successfully removed JDeveloper 12c from your Mac. And now I can go back to installing v11.2 so that I can work with ADF Mobile! 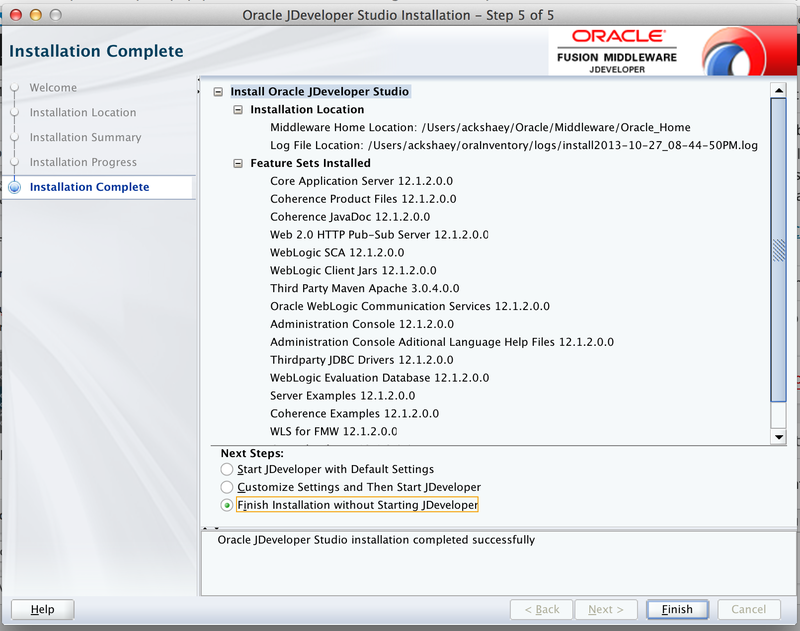 Oracle has a pretty nice installer for Windows. Linux users are expected to know how to set things up. Mac OSX is where things start getting a little iffy. This is a small guide I’ve compiled on getting JDeveloper to work on a Mac OSX Mavericks system (I upgraded yesterday). You should get the installation path. Save the file to the downloads folder. Once the download completes, open the terminal. This should open the installer. Choose all defaults and install. Choose everyone in the options so that everyone can make changes. Complete the installation. And that’s it! Pretty straightforward. Now you can continue setting up JDevloper to work with either ADF and ADF Mobile applications. I’ll cover that in another tutorial. Comments are welcome! You can visit me at www.ackshaey.com, which should have links to LinkedIn, Github and other good stuff.